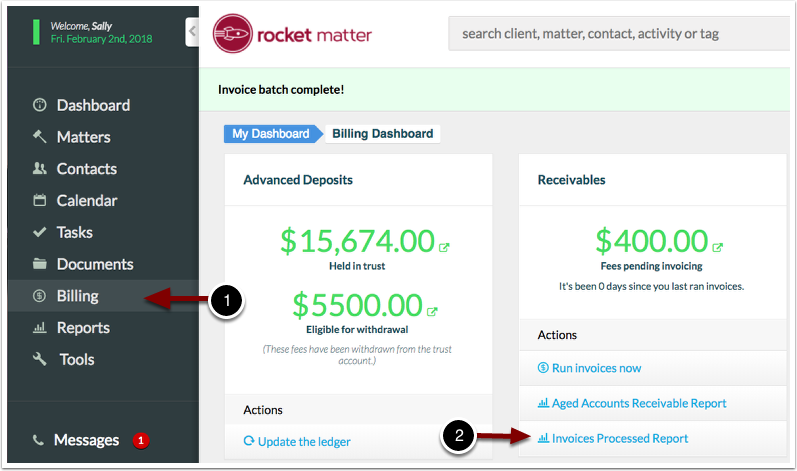 Rocket Matter Knowledge Base Batch BillingHow to download invoices from a batch billing. 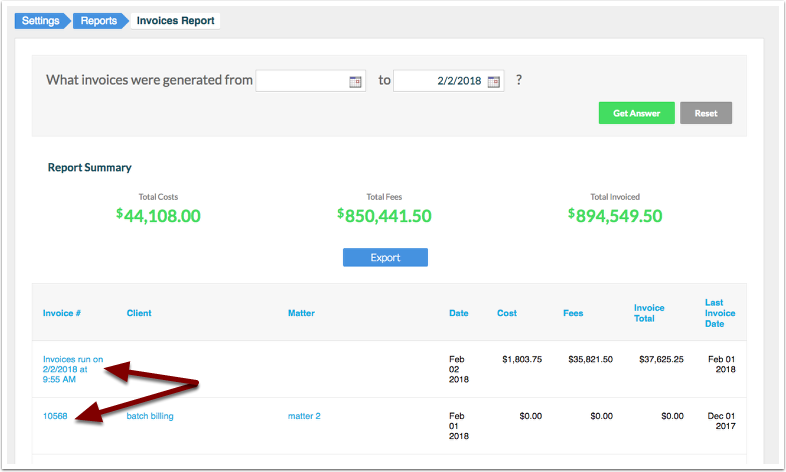 The user who ran the batch billing can download the batch of invoices from the banner once the invoice batch is complete. This download will appear in your 'Downloads' on your computer. All users can click on "Billing" in the left hand navigation panel and select "Invoices Process Report". Select the dates to filter from and 'Get Answer'. Click on the invoice number OR the invoice batch to download. Prev: What is the different between a statement and an invoice? Next: What does "Days since invoice was generated" mean?